Dresden is a medium sized city located in the eastern part of Germany about 50 km (30 miles) from the Czech Republic border and about 100 km (60 miles) from the Polish border. Dresden is placed right in the big intersection between the German high-ways number 4, 13 and 17 which is normally used by a lot of the people traveling from the northern part to the southern part of Europe. 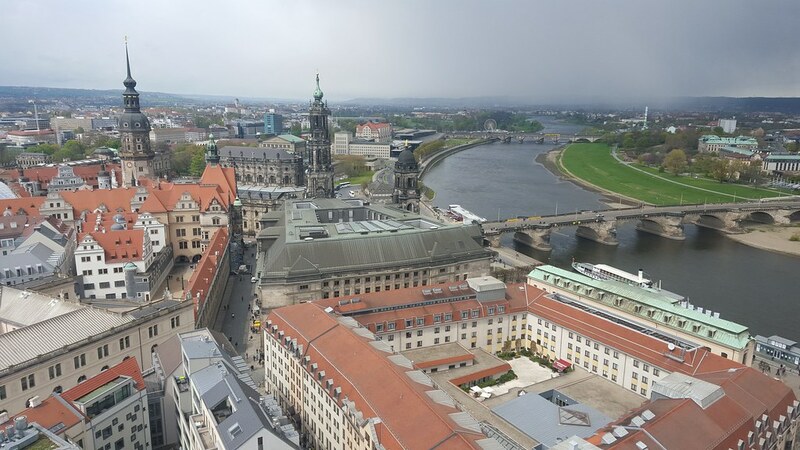 Therefore, a lot of people associate the City of Dresden as a transit city where they have stayed maybe one or two nights before the trip continues east or south. The city is divided into two by the large river called Elbe. The Elbe stretches over about a 1000 km (600 miles) and is very used by the locales to all kinds of water sports and similar. Make sure to stroll along the river at the evening or night – the view is absolutely stunning. From a historical point of view Dresden is known to be one of the cites, that was totally leveled by the allied bombers at a very late point in the war. Even tough, the city was practically without any military interest – only a few months before Germany unconditionally surrendered, the city was overflown by bomb planes and was totally destroyed. Because Dresden is located deep inside Germany the city was more or less untouched before this late attach. In many eyes these attacks are considered an act of terror. Despite the massive destruction, the city is today rebuilt and especially the downtown is very beautiful and welcoming – a very nice place to visit. 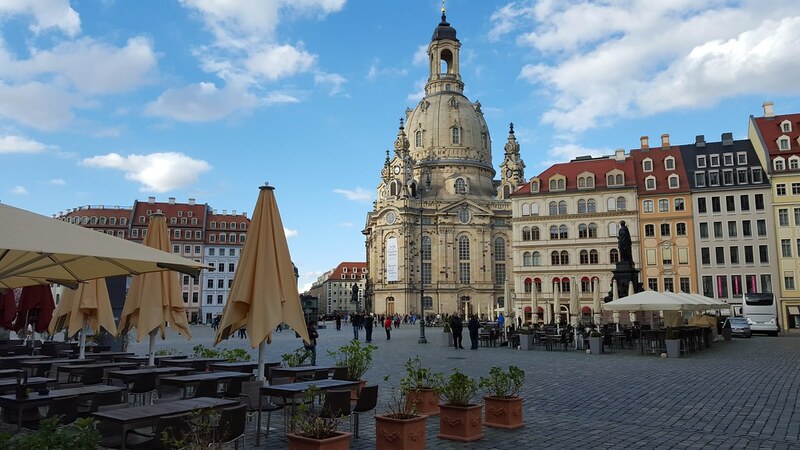 Dresden is a many ways a very beautiful and clean city which offers many, both large and smaller, restaurants and cafes. 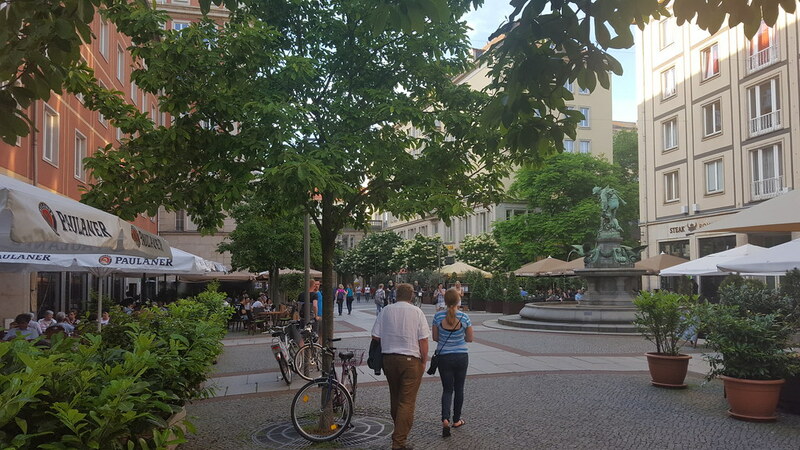 Especially, in the downtown of Dresden also known as “Inner Altstadt” or directly translated into English “the inner old city” offer a large number of nice places to eat and to have a good time. The restaurants offer food from all around the world, everything from Japanese, Indian, Vietnamese, Italian, American to, of course, the German cuisine with Wienerschnitzel with fries. In the summer time almost all the restaurants have outdoor seating which is very nice. In the winter time you can enjoy the inside of the beautiful restaurants. 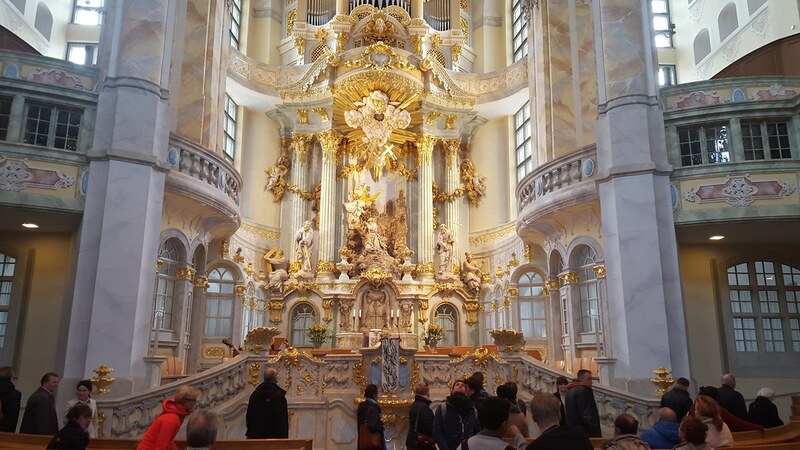 At the center of Altstadt is located the large and very beautiful Frauenkirche. The church was one of the buildings which were hit with the bombs during the late part of the Second World War. However, the church is today rebuilt using many of the original materials. It is possible to see the church from the inside where the wall decorations are very beautiful and fascinating. If the weather allows it, it is also possible to go to the top of the tower which is located in a height of 67 meters (220 ft). From the top there is a 360 degree view over Dresden and the surrounding areas. The fee for going to the top is approximately 8-10 EUR per person. However, this price is absolute worth the money. 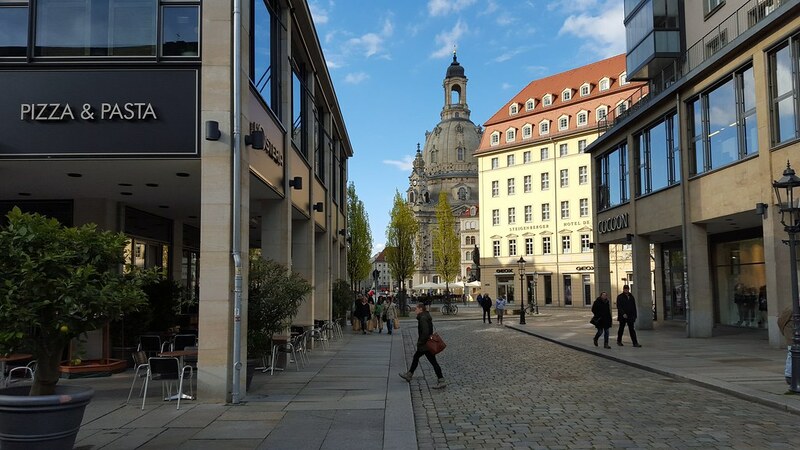 Also, in the center of Dresden is located a very large shopping mall which offers all the traditional stores like H&M, Apple Store, Lacoste, Zara, several sports stores and so on. 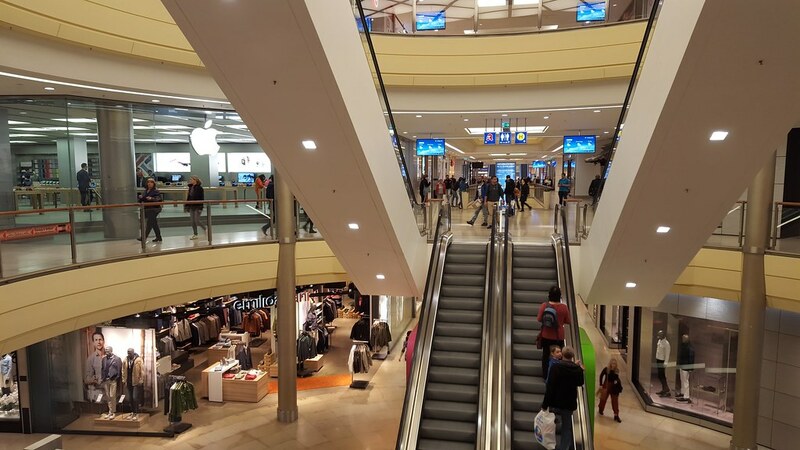 The shopping mall is called Altmarkt Gallerie and is definitely worth a visit if you like to shop. 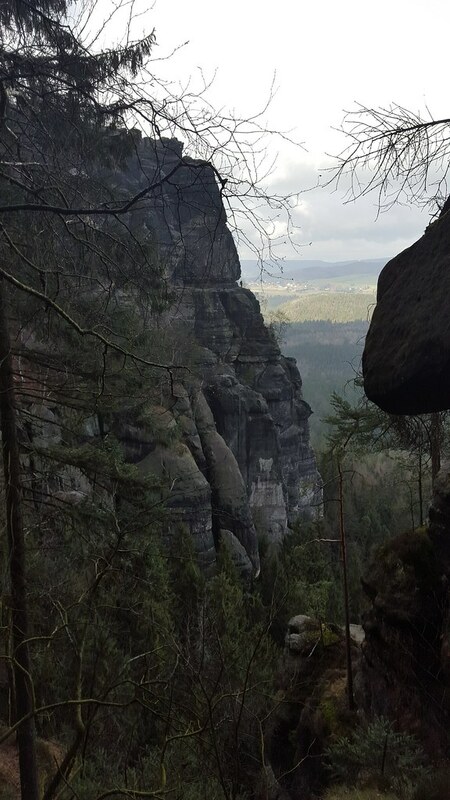 Right at the border between Germany and the Czech Republic is located a national park which is called the Sächsische Schweiz. 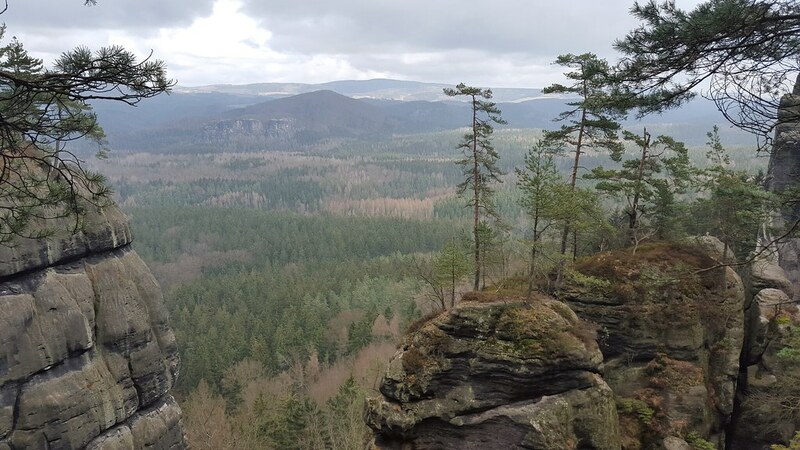 The park, which is located about 50 km (30 miles) from Dresden, is a very beautiful mountain area where there is endless possibilities to go hiking on the many maintained hiking trails. The park also offers a tram which can transport people through the valley – a perfect trip if you are an elderly, disables or maybe a child. The park is a perfect opportunity for a nice day in the nature. In the weeks leading up to Christmas there are several Christmas Markets all around Dresden. 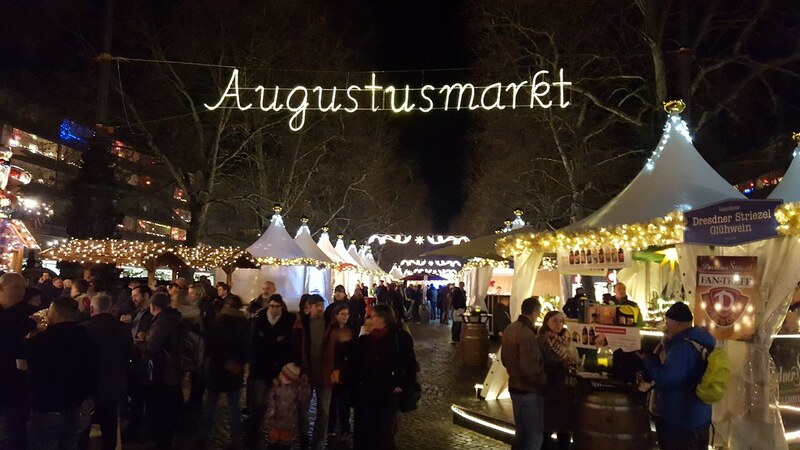 The markets offer a cozy atmosphere where you can buy all the traditional Christmas food and candies. Christmas Markets are a very popular thing in Germany and the Markets in Dresden lives up to the expectations and is absolutely worth a visit.